Enjoy your own concrete plunge pool for all year round fun. Create your very own oasis. It seems like blocks of land these days are getting smaller and smaller with more high-density living. That being the case your available outside space is less with the actual house taking up the majority of the area. That’s why a concrete plunge pool is just what you need. A concrete plunge pool is defined as a small pool that is up to 5mt long and 3mt wide. Often they are smaller and not always a stock standard square or oblong shape. 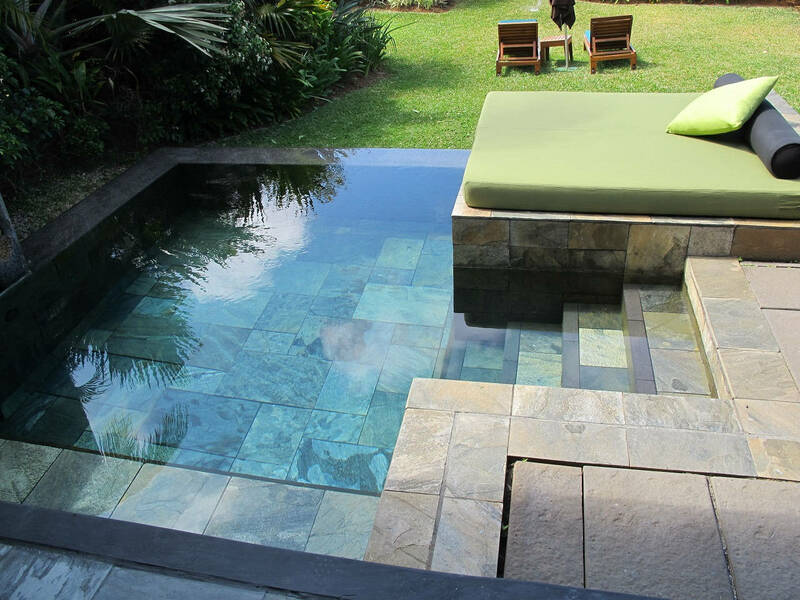 Triangular pools fit snugly into often unused corners and can have very little impact on the rest of your usable area. Cozy Pools have decades of combined experience in South Brisbane, the Gold Coast, The Hinterlands and Northern NSW. 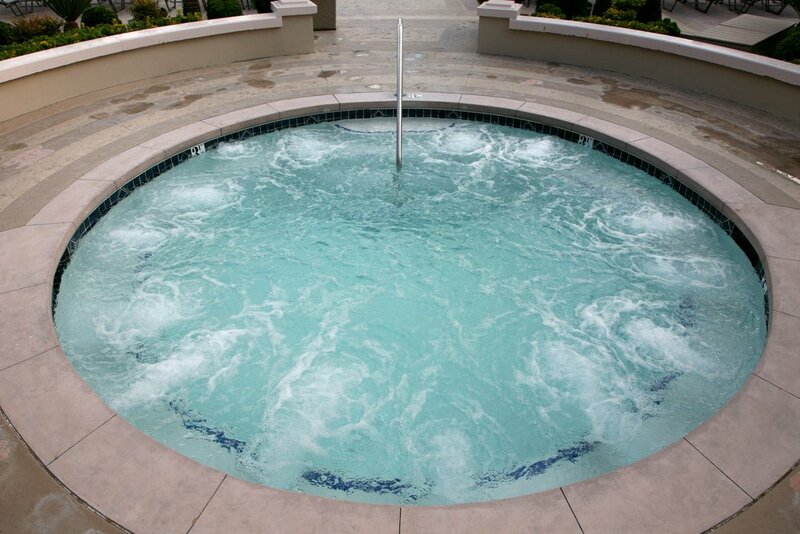 We can help you select the right concrete plunge pool to complement your space. Concrete plunge pools are not restricted to outside you know. You can have a concrete plunge pool inside, on a terrace or even your rooftop. With the addition of spa jets and seat aeration your plunge pool can transform into a spa with the flick of a switch. With landscaping, tiling and other decorations a plunge pool can become a real centre of attention. Turning an ordinary courtyard into an oasis. In the evening with creative lighting the beauty of your plunge pool will be astounding. Since plunge pools are compact the running costs are significantly less. Heating a plunge pool becomes very attractive to make use of it all year round. To achieve heating a plunge pool we can utilise electric, gas and solar options. We can explain to you the pros and cons of each choice so you make an informed decision. High powered swim jets can even be installed in plunge pools for the fitness enthusiast for those who want to do laps in a limited space. Soak away your aches and pains and enjoy a plunge pool of your own. Call Cozy Pools today to get you on your way to becoming a proud plunge pool owner.